This is something I’ve had to come to terms with recently, as I’ve just temporarily (or permanently) dropped out of college. My life doesn’t have to be measured by academic success, it can be measured by love, just like you said. Wonderful post! Thank you for sharing, redheadpoetess! I think there’s persistent false expectation that if you’re smart, you will go to college, graduate, and then become successful (most often, and preferably, in the business world). But this path isn’t the way for soooo many gifted adults. In actuality there’s a multitude of definitions for what constitutes ‘success’, and how you can obtain it. I mean, think about blue-collar workers, or anyone who makes a living with their hands. Many *could* have gone college route but because of their particular values, chose a different pathway. I just think our society has such a very narrow definition of success, of smartness, well just so many things! Of course we can feel very conflicted – we’re only humans – but for us, being multi-faceted, need different alternatives, often. Yes, how do we define success?? How do we define smartness? Thanks for being here, Beth. Oh you are so welcome, Paula! I really love reading your articles but especially the comments, it’s a great way to join the dialogue, at least here in the online world. A lot of us have minimal, quality connections with others, and I know for myself, adds to the value that your blog has for me. Thank you Paula! Love the title of that book! Will have to look into it. Thanks. This post is so perfectly timed. I turned 40 last month and just yesterday I was considering whether or not I let my parents down. I didn’t become a doctor or lawyer, etc. However, I am excelling at being a mother and wife. So, if I measure my life by love then I am indeed a great success! I am turning 40 this year too. I’m still in the mix of having babies and toddlers, and I wonder when they all finally get in school what my next step will be! I’ll be tangoing with the best of them. Once I finish the darn….. Thanks for your inspiration, Maggie! Once I began a master’s program. One course in, realized I wasn’t doing it because I *wanted* to, but in order to try to gain the approval of others. I didn’t pursue the program. Over the years, my lack of a higher degree has probably hurt me in my “career” pursuits – but my “career” is not aligned with my authentic self. And to be honest I don’t think it would have prevented me from experiencing the same manipulations, suppression and targeting, anyway. I was just thinking this morning how there’s this expectation of high performance and higher education/STEM etc. that goes along with giftedness, and that not fitting into those genres makes not-fitting-in due to giftedness even more difficult. It’s like a subset of a subcategory of misalignment with society. People now understand “giftedness” in the context of high performance/high achievement, but they do not understand it in any other context and then malign those with diverse cognitive abilities. It’s difficult to maintain a sense of… place… in the world, and especially, there is no safety… when everything in society is working strongly against who you are… and you really truly are not motivated by the “negative motivators” such as “prove them wrong!” or “do it anyway!” – you don’t want to (and can’t) “fight” or “overcome” – you just want to *be. * When it’s basically impossible. Thank you for sharing your thoughts, L. Sending you love. I hear you, L. At least you took the step of starting a master’s program (I haven’t managed that yet)! Did you or some of your peers from your bachelor’s program head straight to master’s programs? Far too many of my peers ‘stuck it out’ for a follow-up master’s, despite exhaustion of all things academic, because a) government student loans would not have to be paid until 6 months after finishing one’s studies, b) parents offered partial support ONLY if their young adult child would go directly into a master’s program after earning a bachelor’s, and c) the terrifying prospect of finding and holding down a paying job to support themselves and pay back student loans (not that high school education really sets you up for a career path…) (sorry for the cynicism; there were obviously better reasons, too). L, I assume you are in the U.S.A.(?). Society was set up to make you feel like it is ‘basically impossible’ to *be*; consumerism, marketing, Wall Street, the military industrial complex, invasion of privacy with practical impunity, and prisons full of bright minds all but wasting away have a tight grip on your country; you are not at fault. I don’t mean to be overwhelming with the text that follows, but it is complicated stuff that we need to try and understand before we can fix it. While depressing, the post-secondary dilemma makes sense considering what we pay for tuition (Tuition is cheaper in Canada, where I live, but society seems to ‘look up’ to the U.S.A and say ‘Well, our tuition is considerably cheaper than U.S. institutions of similar academic acclaim’). The U.S.A. and Canada have ludicrous notions of what ‘education’ means and what it should cost the student, and inherently, what the value of having ‘educated’ citizens is (beyond bragging in OECD statistics). What about POTENTIAL, creativity, humanism and a sense of duty to protect Mother Earth from destruction in the disastrous human-created experiment of capitalism and the ‘need’ for constant economic growth at all costs? The ‘modern’ innovation race (to the bottom on an ethical level, but to the top in the minds of corporate America and multinationals around the world) is (funnily enough) still with Russia and former Soviet bloc nations, China, India, South Korea, Hong Kong, Singapore, Japan, Germany, booming Latin American nations with top research institutions (in Mexico, Colombia, Argentina and Brazil, for example)…let’s not get started on countries including the UAE, Saudi Arabia and Iran…how scandalous to think people who are clearly all terrorists could have anything positive to contribute to humanity? And the continent of Africa…unspeakable…Cynicism and sarcasm aside, wow…the potential that lies in the African continent is mind-boggling and it is now expanding on a a global level…The potential in ‘underdeveloped countries’ or ‘developing’ (or whatever the term of the year is), is unprecedented and this is truly exciting…there is more empowerment and education than ever in most countries in the world…mega potential (But don’t remind Trump; he chose not to read the first memo). Paula, can your bloggEEs meet up to plan a (brilliant, largely introvert-brain conceived) revolution to salvage what is left of humanity and Mother Earth? Why not an actual meet up this summer? You now have 3,750 followers; 1% attendance would be a fantastic start. I just looked up how to register and cost…not bad, all considered. Stepping into the SENG community would be very helpful in determining my next steps and seeing how I may fit into the mess of the education system now and in the future. 😀 ❤ I will keep you posted. Let me know if you decide to attend SENG. You might want to check the program once it’s out to see if the topics would fit for you. Many are likely for parents. And there may not be a lot on highly/profoundly gifted adults… Of course, I’d love to see you there!! …but, but… the countries who have some of those things right are evil socialists! They’re almost commies! They’re DEFINITELY liberals! We can’t be like THEM! It amazes me that when people find systems that work, instead of learning from it, society ignores it unless the system was invented by a like society. Then they have to arrive at the same system on their own, even if they are re-inventing the wheel and decades behind. Point being… there are good examples for nearly everything out there, if we look to find them. But to adopt any fix, for some reason, it seems like it has to, at a minimum, have the appearance of organically arising from the society itself. Else, it won’t be trusted, and will face overwhelming obstacles to ever come to fruition. You are left with “convincing” them that someone else’s way is right, when it is better to have a natural ownership that this solution was grown as an exact and native fit. Sometimes custom-made solutions are necessary, but sometimes it seems people need the impression that it is a custom-made solution, when in reality it may be simply this: We are all people. And people all need the same basic things in order to feel safe enough to pursue an authentic and fulfilling life. Ultimately, the breaking of the “Us and Them” barriers may be the magic key, because then we can all globally learn from one another (suspicion free and without pushback), instead of feeling as though each community/society/country/person must work alone. That’s a far leap ahead for social justice. Circling ’round – it’s an interesting idea. Do you suppose there are similar think tanks already existing somewhere? It seems logical enough that there might be. I am dying metaphorically reading this…What a lot that you packed in! “It amazes me that when people find systems that work, instead of learning from it, society ignores it unless the system was invented by a like society.” So true, and tragic. Yes, we are all people and we all need the same basics. I hate when people swear that racism is a thing of the past or avoid talking about it. Racism and discrimination and policies that go against the principal of equity are ALIVE and gaining traction. The political flip-flop between conservative and socialist (or just plain odd liberal, but labeled as ‘socialist’ by the haters of anything or anyone different than what they know or who they identity as) is atrocious right now, in many of the most powerful regional national/federal governments. It is truly terrifying. 4) La Universidad Autónoma de Mexico has huge influence in Mexico and the Spanish-speaking world, and some big-name socialist professors that teach there. There are many socialist-bent folks and many programs truly starting to recognize the importance of indigenous voices in academia. 5) Heard of Alfred Adler? I hadn’t 5 weeks ago; it is worth reading his biography and questioning why we don’t hear more about him and others, and instead only a few dominant names such as Freud, not to take credit from Freud). There are a ton of people who have embraced Adler’s work and taken it in different directions around the world. 6) Media is key. There are many good (socialist) non-mainstream news outlets and grassroots radio programs… around the world 🙂 Democracy Now is a big one, but most are small and local to their region alone (not national). Thanks for all the resources, cmd1122. It seems that you and Arachne and L ought to meet up! Yeah, the political tendency towards the extreme ends of either side is so strange to me… because that’s not where the majority of people sit, I think. It’s just where the majority of the power sits. But the people put the power there. Less extreme politicians sometimes even pretend to be more extreme than they are just to get elected.How did it get that way? It just strikes me as bizarre-o. And very uncomfortable. And so many people are uncomfortable with it, yet it keeps perpetuating itself. What a lot of interesting resources. I’ll check those out! As I reread this thread, I think we may be getting too off topic. As I moderate comments, I just want to be sure you all know that this blog isn’t a place to get deeply into political opinions even though these are important topics and there needs to be places for these discussions. I want you all to be able to express yourselves and I also need for us to stay within the blog’s topics and purpose. Thank you for understanding. Nah, it’s too late for “career.” I no longer care about “career.” The mistreatment I’ve received in that avenue has been extreme, severe and inescapable. I’m barely eking out survival right now to try to live more authentically but it’s at the expense of so much (physically, mentally, every which way, and it’s not sustainable) – but there’s pretty much no feasible way to expect I could subsist on my authentic abilities. They’re not aligned with what society values enough to pay for and I can’t seem to find a way. (And it was my siblings who earned the higher degrees etc., not peers.) Anyway. ’nuff said. I have an advanced degree. I have retired from that field. But I have thought of getting another one because I would like it. And for you, even if money is a problem, there are scholarships–talk to your chosen school–and lots of free or near-free adult classes and seminars. If you don’t want that degree, think of something else! There are many kinds of intelligence, and most of them don’t offer advanced or any degrees. The pressure to get a degree has to do with meeting someone else’s standards for you unless you want the degree for your own purposes. Yeah. Important to sort out your own purposes from what others expect. Thanks Iowan42. I chuckled my way through the whole reading. I did not, WOULD NOT, get a Ph.D., which got my contract “un-renewed” teaching English at Indiana University. I didn’t actually WANT to be a college professor (other than for $$ and security). I wanted to be, and already was, a writer. And so I have been for the almost 50 years since then. But here’s the funny thing. Once I began writing about the gifted, and not just writing poetry, plays and fiction, and got “famous” for writing about the gifted, people began having me speak at conferences, etc. and most often I was introduced as “DR. Tolan” because nobody could imagine I had done that sort of writing and been recognized for it without having a Ph.D. So what I would do when introduced that way, was to thank the person for having granted me that honorary degree. In point of fact, Katherine Paterson, a dear friend and one of my favorite writers of all time, has several honorary degrees for real! So my advice remains the same–do what you love and trust in the Universe to support that love! Thank you for sharing, Stef. Your experiences (at least in the past roughly 50 years) are admirable, heart-warming and hilarious. Learning to do what I love and trust in the Universe proves a bit tricky, but not all that hard, and actually rather fun and exciting as I let myself follow my passions and see what happens in time. I will check out your writing on your blog. Greetings from Vancouver, Canada. Yes, check out Stephanie Tolan. She writes about the profoundly gifted. I got a PhD a while back. It was convenient for me, and a good way to get a little credibility and increase my employment prospects. It didn’t cost me anything, either, because I had teaching assistantships – free tuition, stipend, health care, all the way through. I was also adjunct faculty at a second university after the MA. I put money in the bank that became the down payment for my first house. Fun times. I miss grad school. I knew at the time, from my older brother’s example, that professor jobs aren’t all they’re cracked up to be: there’s a small number of ‘real’ professor jobs, and a whole lot of ‘fake’ professor jobs. So I kept my eye on the business world at the end, and made a lateral that had me making good money before I even defended my dissertation, and living in Rio the week after. But back to giftedness: boredom springs eternal. Like the man said, after a certain point you just want to do something else. I went through a number of different specialties over a decade, got a few professional certifications, and then they were dragging me towards management and I just dint wanna. So I quit and became a full-time dad. Dr. Dad, thenkyouverymuch. And there’s the love. Daughter is playing out in the snow now, and son is writing songs. I’m cooking dinner. My son told me he wants to be a professional musician when he grows up. Fine, I told him: Lin Manuel graduated from Wesleyan. Get your BA first. Oh, beautiful. Thank you, Dr. Dad. This is so inspiring 🙂 Thank you, Dr. Dad. How was life in Rio? I would love to go to Brazil and travel around the vast country. I asked my son on the eve of his 21st birthday what he would do if money were no object and he could do anything; he said “travel and play music”. Then do that (instead of working and trying to get a job with insurance, we’ve got you covered). It breaks my heart that he believes the doubters who say his passion is “just a hobby”. Your son is lucky to have you as a parent! Thank you for sharing, Chipper. Wouldn’t it be helpful if we could remove the words smart and stupid, or at least their suggestions of outcome? I find I do smart and stupid things throughout the day in an alternating rotation. Often, those have little to do with my underlying intellectual potential. Observationally, I’ve noticed it’s much the same for most of the people around me. Maybe, those two words would become less of a club if we had better ones aligned with how our brains work. What about neurodiversity? That term is becoming more and more common. Thanks, M.J.
Hmm, I think we need to keep working on it to find words that fit. Thanks for sharing, Nour. It’s good to have you here. Well, I’m 56 and have a PhD from a top institution and a 25 year career as a college English professor. Which sounds really successful, except I am haunted by the ways I have not achieved at the level I should have with my elite education and at the level of my academic peers — highly esteemed articles but no scholarly book(s). And now I’m leaving my career early to return to my neglected first love, creative writing — and get an MFA as step to help me (and because I love being a student, it seems). I feel connected to myself in ways I have not been for so many decades. But anyway, the point is you can have the PhD and be what looks like a high achiever and still feel a sickening sense of not having lived up to your promise. It’s never too late, Anne, to return to your first love. Good for you! That’s a really interesting perspective, thanks,as I don’t feel like I’ve lived up to my promise either. I’ve thought about going back to school for my Phd but mostly because I love learning and being a student. So, I decided that for now just considering myself a continuing learner would be ok too. However, if the universe pushes me back to going for a Phd, then I would do it. For now I have lots of other challenging things to keep me occupied. Most (all?) RFMs love learning. So, for some, a PhD is the answer. Thanks for sharing, Gabriela. I dropped out of PhD program when my mother died and never got back to it. I’d really love to, but it’s difficult to see how I could do it now, when life has moved on (and costs have gone UP!!). However, I suspect that one of the reasons that I would love to see more letters after my name is to prove to people (and myself?) that I’m smart, to compensate for feelings of inadequacy. I’ve just read the “Impostor Syndrome” post, and they do seem to go together :). I even say to people that I’m going to start a club for “The Under-Appreciated”, those who contribute greatly at work but do not have the gift of the gab and self-promotion. But another strong reason is that I really believe that my forte is research; it’s just how my brain works. I heard recently that a man in the UK attained his PhD at age 92, so maybe it’s my retirement project!! I know a woman who got her PhD in her 70s. It’s never too late! Thanks joanne. About 15 years ago, I asked a friend who was also my manager if I should do an MBA or take tango lessons. He immediately replied, “tango lessons”. I didn’t. I didn’t do the MBA, either. 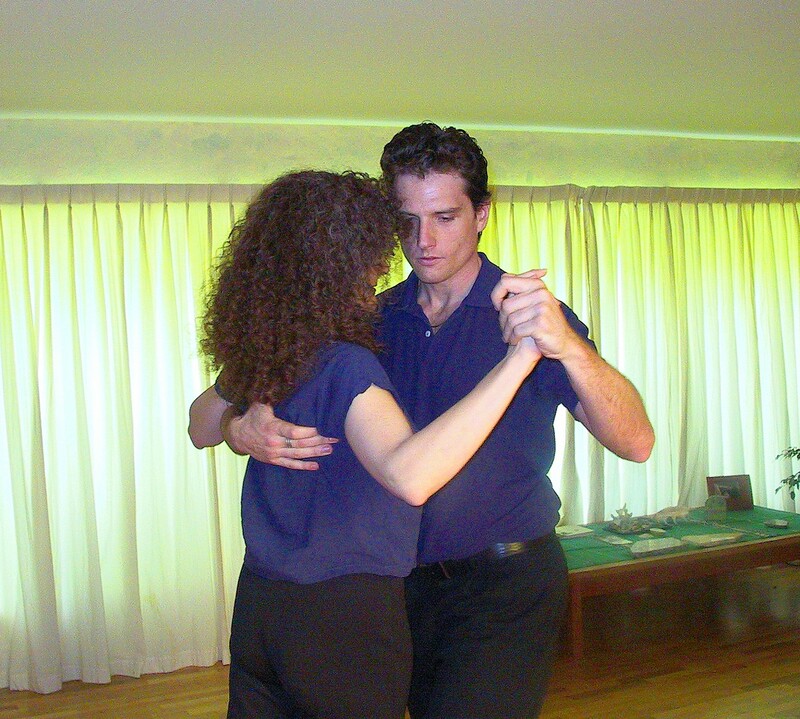 Last week I found myself again looking to see where tango lessons are given in this area. Although I’m concerned about being that close to somebody. But as well, because my professional job prospects have been difficult, looking at doing a Masters to “freshen up”. It would have to be in business, of course. But I really would rather be fluent (ok, proficient) in French, work at my photography, and garden. None of which earns me a living….but it’s where I’m passionate. But you mention love. And for someone who grew up in a very dysfunctional family, where my mom was a narcissist and I had to be perfect….you really hit a sad spot there. Oh, to just be loved. But I can’t be, you see, because I’m not perfect. I don’t know tango, but I know how to beatbox and sing broadway. Would that work? I’mma break it down. Not going to let go of my shot.